Microsoft Update keeps systems up to date. whenever you are updating through http://update.microsoft.com it is costing your bandwidth. Everybody does it repeatedly. 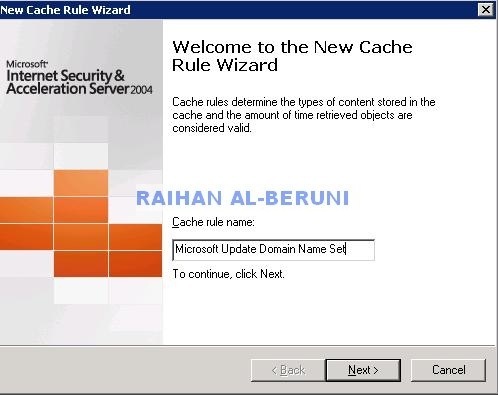 So a clever way to manage this issue is to add a cache rule in Microsoft ISA server. 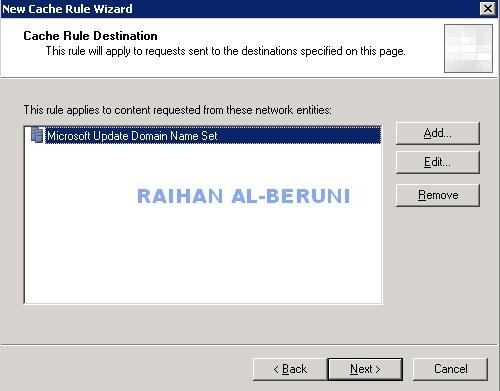 It will cache necessary Microsoft update. 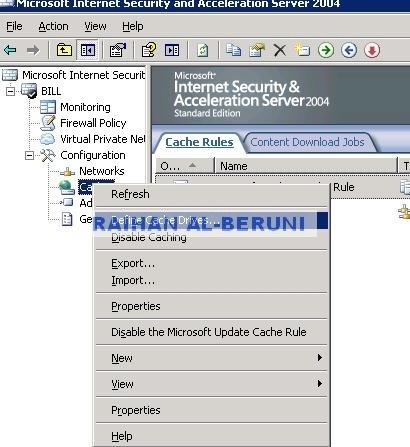 whenever a request for Microsoft update pop up it will check ISA cache. 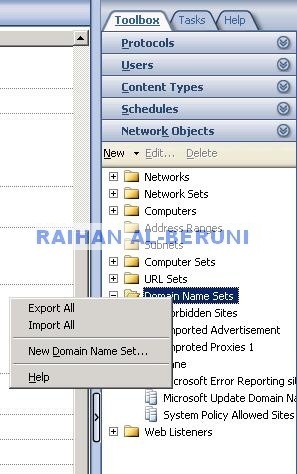 this will save bandwidth as a result save money too. 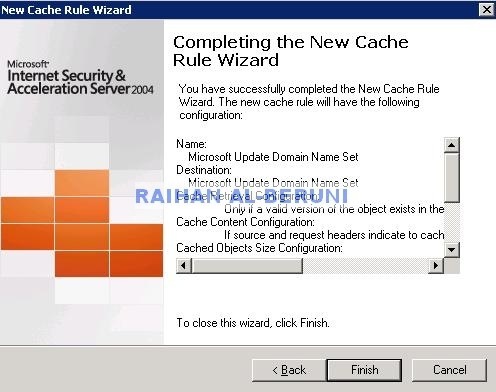 Here are the screen shots to help you with the cache rule. 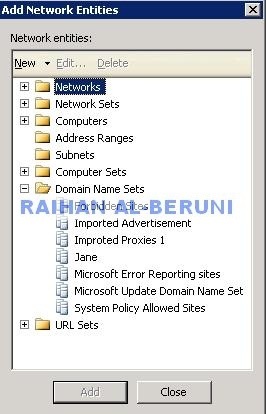 Type Microsoft Update Domain Name Set as Name and Add all the update sites mentioned here. Apply>ok. As you have added a cache rule, it might take a bit disk space. so change cache drive from system partition to another. In my case, I set up D:\ drive for urlcache. To do that right click on cahce>cache drives>Set D:\ drive or different in your case.